Eclectic décor is one of the most difficult decorating styles to pull off; this is mainly due to the numerous components the trendy style has to offer. However, when it is done correctly, it’s a beautiful, artistic display of unique pieces that somehow work very well together. 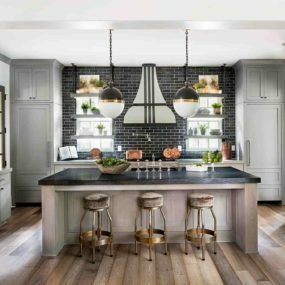 Whether you’re interested in redecorating your kitchen or you are considering an eclectic touch, these eclectic kitchens are sure to inspire you along the way. 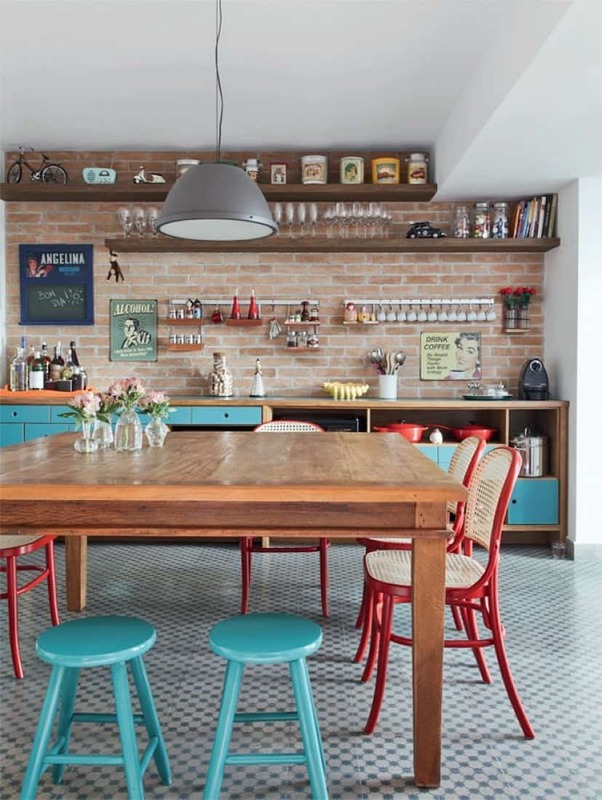 The color’s you decide to use in your kitchen will depend on your personal style; however, we recommend creating a fun, eclectic touch by having a repetition of colors throughout. Not only is this a fun unique way but its cohesive and appealing to the eye. If you love the idea of color, then going eclectic is the way to go. 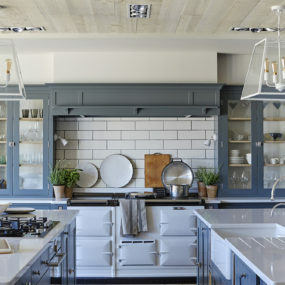 Putting together unique colors in the kitchen may seem easier said than done due to the numerous options color wise and décor wise. Remember, if you are working with 3-5 different colors you want to have binding elements that ensure the décor comes together seamlessly. Patterns are great additions to a colorful space. The texture you add in the kitchen should feel effortless and welcoming. Think of pieces that you know will work together yet are from completely different decorating styles. Those are the pieces you want to add in. One of the many reasons why we personally love eclectic décor is its effortless way of pairing different textures, styles, and even eras together. It brings everything into one in the most seamlessly way. We love the heavy use of texture without feeling overly cluttered. Do not be afraid of eclectic decor in small spaces. The key is having pieces that make a statement yet do not have an overbearing feel. You do not want to room to feel cluttered, it should feel open yet intricate and yes eclectic. 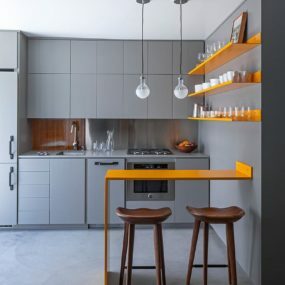 If you have been interested in eclectic décor yet have a small kitchen, do not be afraid, you can still achieve this look no matter how small your kitchen is. The key is inserting key elements and having them make the biggest statement on their very own. Colorful appliances deserve to have their special moment. They are unique, fun and feel vintage yet when paired with other “different” decorative pieces that become eclectic which is what you want to portray. Add a few neutrals to have a sleek balancing act. Do not forget your appliances! 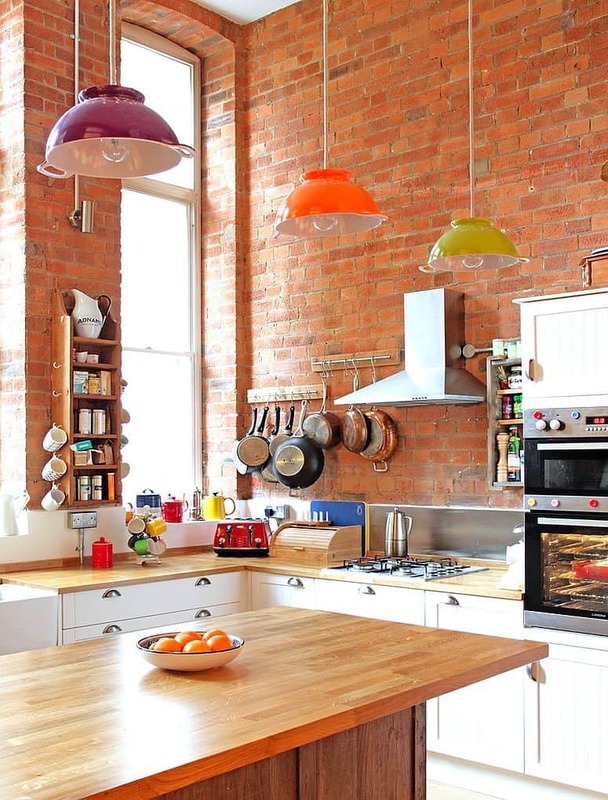 Your appliances play a big role in how your kitchen is perceived; therefore, use colorful appliances for that noticeable punch of color and add softer hues throughout the room. 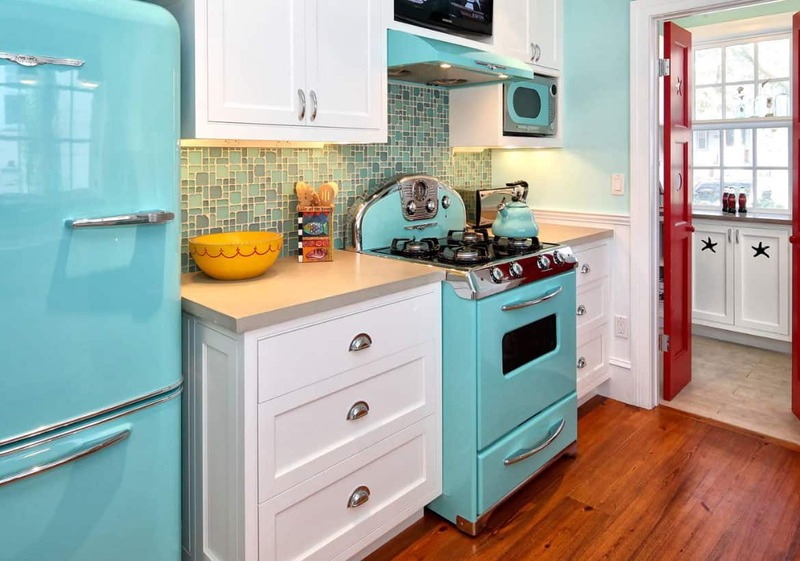 You want the appliances to make that bold statement yet have other colorful bits. 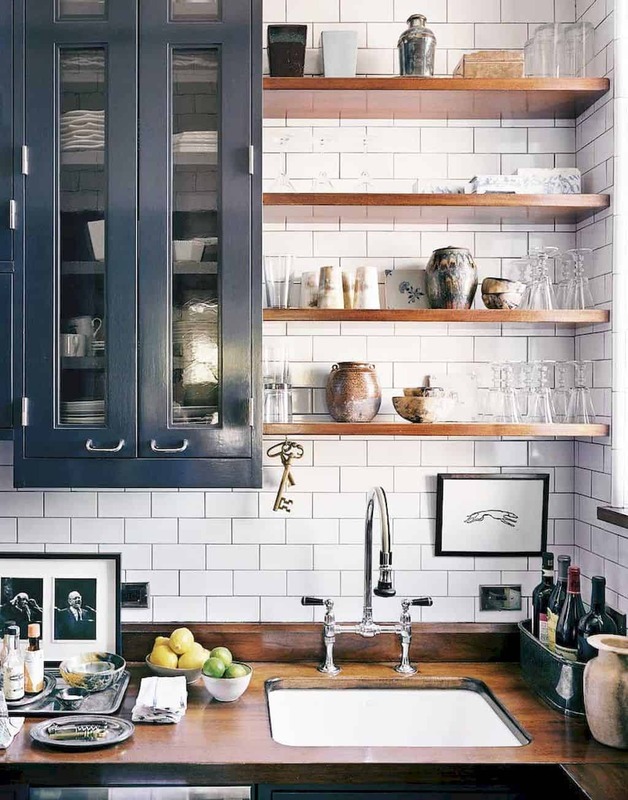 Open shelving is a pretty new concept when it comes to home decor. We have always wanted to keep the organization away from the viewer’s eyes. However, this concept allows your favorite “fancy” dishes to be on display for all to see and enjoy. You may even want to display small trinkets that have special meaning to you. 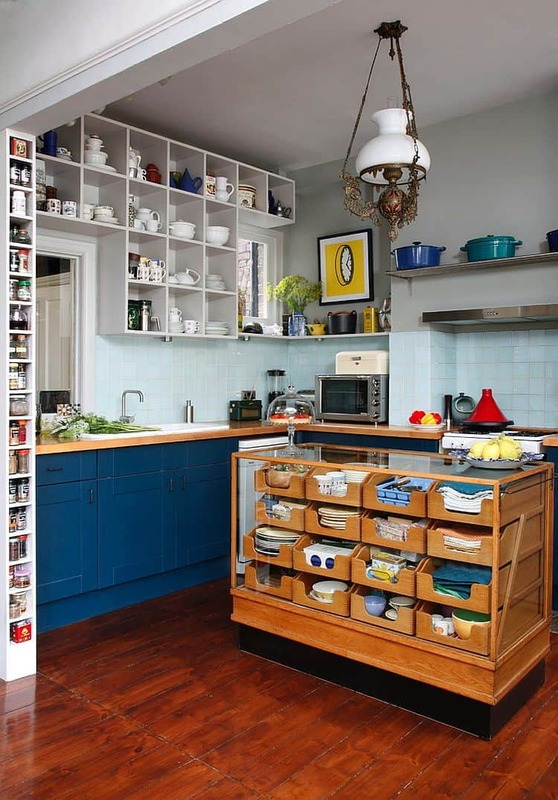 Floating shelves, open space cabinets, and convenient draws are part of what makes a kitchen feel like a kitchen. For an eclectic feel have open cabinetry that displays what’s on the shelves or consider using clear doors for the same effect but with a bit more of “privacy.” The open space will bring a modern twist, whereas, your organization will feel traditional and put together. When selecting a wallpaper for your eclectic space this is the time to go wild. 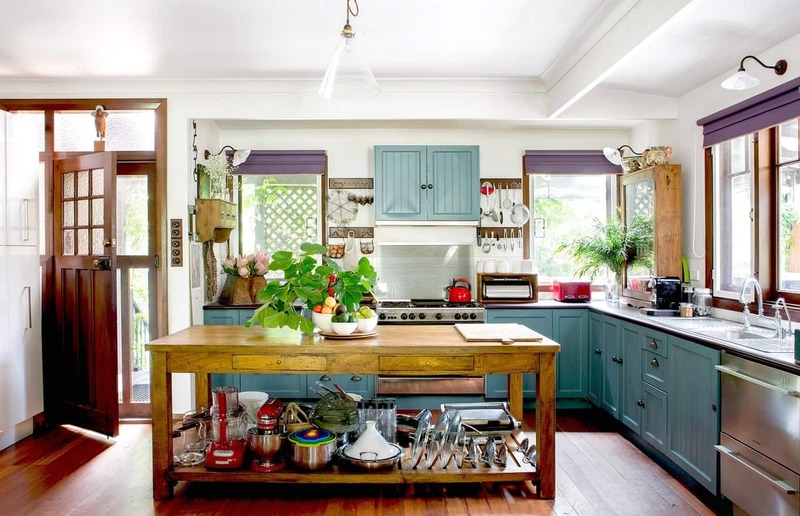 Choose a color or pattern you would never consider in the kitchen and watch as it transforms the space. You could never go wrong with a daring wallpaper and color bits here and there. The main goal of eclectic décor is having a beautiful display of objects and patterns that showcase your personality. 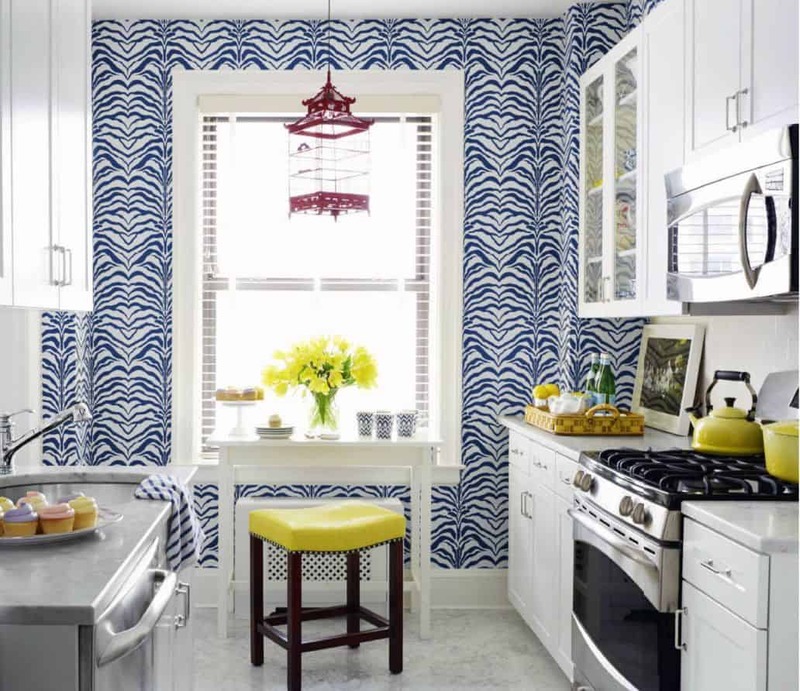 Add in a daring wallpaper in fun colors and pair with other bold bits for that classic display of personality. Can’t decide what colors to use as part of your decor? 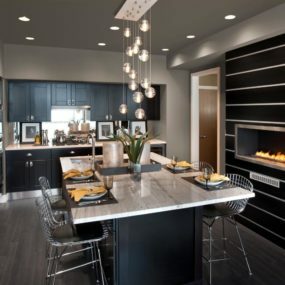 If so choose a dark hue and pair it with eclectic pieces for that classic feel that is still minimal and appealing. 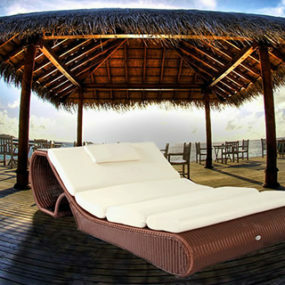 Furthermore, for that minimalist look you want little to no additional pieces only the ones that you truly need. 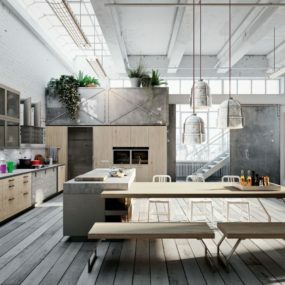 If you are undecided about whether you want a minimalist decorating style or a full-on trendy space, consider blending the two together to create a seamless approach. Furthermore, keep it minimal by using only the furniture pieces that you need and add that trendy touch with selected accent pieces. Think of your colorful lamps as the perfect additional bit of color. They will help brighten the room while having that unique touch that brings an extra hint of eclectic throughout. Pair with wooden touches to allow the lamps to really make their intended impact. We love the look and appeal of colorful lighting. Add cheerful lamps that brighten up the room yet have that direct focal point on display. Have multiple colorful lights for that rich, signature touch of eclectic while still being useful to the space. Adding a table is the perfect open floor plan addition. The table will suit as a breakfast area or even as a dining table, you can even use it as a cute space where your family gathers to unwind and share their day. A table in the kitchen is not only versatile, but it’s an excellent way of adding an eclectic touch that adds to your unique display. Consider having multiple different color chairs or even adding a funky rug underneath. Adding the rug creates a distinct separation between your cooking space and your dining area. 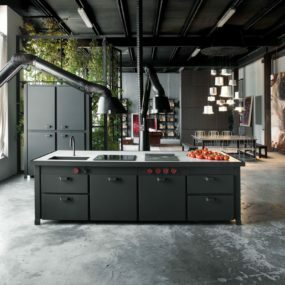 Not fond of having a colorful kitchen island? If so having an all wood smaller island is the perfect balance between the two. 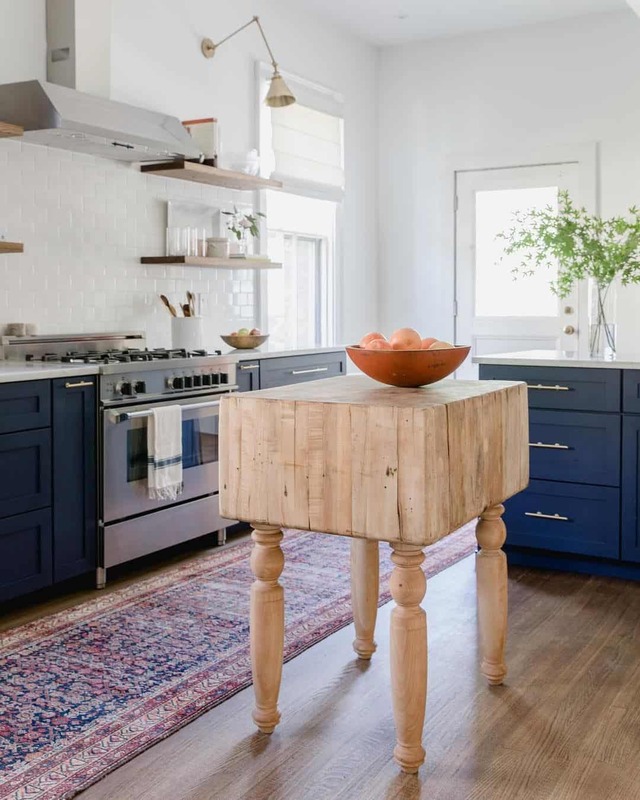 Who would’ve thought a wood kitchen island can make a huge impact? 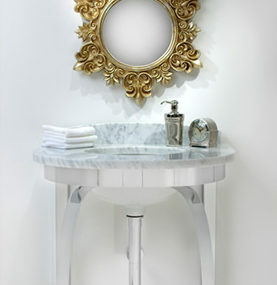 Not many, but when it is in a smaller size and it’s crisp and clean it creates a balance between your eclectic decor. 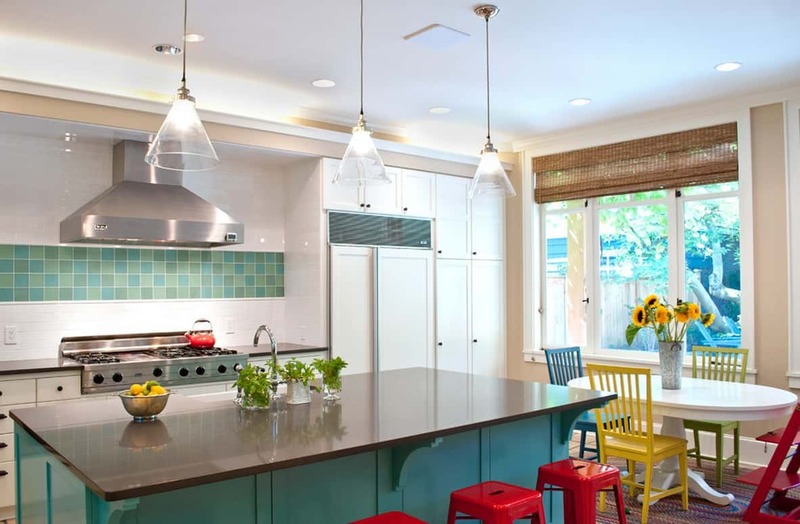 Your kitchen island is vital to how your area appears, for an eclectic touch, add a large, colorful kitchen island. Doing so adds color, beauty, and texture, contemplate pairing with intricate chairs to further showcase your new decorating style. Eclectic décor might not be for everyone, but it sure is fun to look at and recreate. Which of these are you taking inspiration from, in your own home? Please share with us in the comments below.